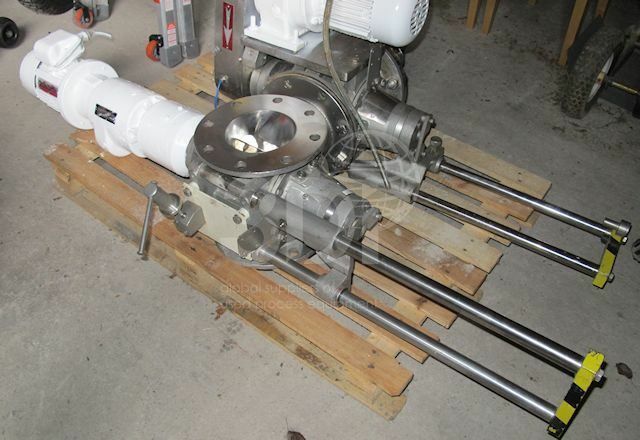 Used Rotary Valve, manufactured by DMN Westinghouse, 1994, Model AL150MZ13043, airlock with slide bar, 150mm inlet and outlet, 316 stainless steel, complete with drive and 0.37kw Brook Crompton electric motor (415v, 3ph, 50hz), 20rpm. Previously used on pharmaceuticals. Unused Rotary Valve, manufactured by Coperion, 2008, Type ZRD200.1-5-AC….